NASA has a long history of finding applications of space and aeronautical technologies that provide broad public benefits. The basis for the Agency’s direction to do this can be directly traced to the National Aeronautics and Space Act that created NASA in 1958. 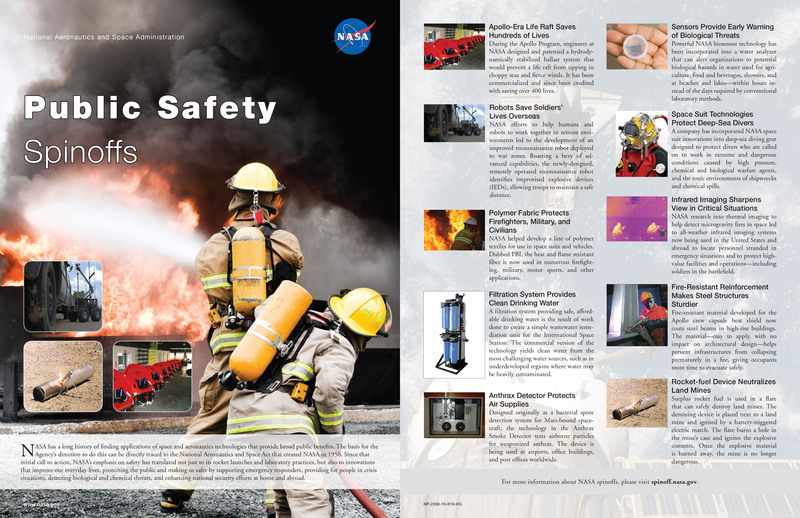 Since that initial call to action, NASA’s emphasis on safety has translated not just to its rocket launches and laboratory practices, but also to innovations that improve our everyday lives, protecting the public and making us safer by supporting emergency responders, providing for people in crisis situations, detecting biological and chemical threats, and enhancing national security efforts at home and abroad.